See if you qualify for more affordable insurance for truckers and trucking companies. Learn more about our Target Trucking Workers Comp Insurance Programs. Trucking workers compensation coverage can be hard to find and expensive in many states. Over the past few years, a lot of national insurance companies have quit quoting coverage for long-haul trucking and limited their appetitie for short-haul truckers. Other regional carries can't provide the coverage required when traveling into other states. That's why we've worked with our carrirs to design affordable target programs for most trucking operations. 7228 Short Haul Trucking. This class is used for local haulers who transport general merchandise less than 200 miles from their business location or residence. This code also applies to sand and gravel haulers, towing companies, as well as dump truck operators. 7231 Mail and Package Deliver and Courier Services. The applicable code for companies that deliver and/or pick up non-owneed packages and messages on a local basis. 7230 Trucking- Package and Parcel Delivlery. This class is utilized for trucking companies that deliver merchandise from retail stores to customers. 7380 Commercial Drivers, Chauffers, and Messengers. This class is intendeded for drivers who are not employed by a public transportation service and do not better fit another class code. This may include delivery by bicycle. 7232 Contract Trucking- U.S. Postal Serevice. Applies to mail, parcel, and package delivery under contract with the U.S. Postal Service. NOTES Many states have exceptions to the NCCI classification codes. Call our Workman's Comp Specialists for specific details about your state rules. Birkshire Hathaway currently offers short haul programs for towing, dump trucks and delivery under 200 miles. AmeriSafe has a long-haul trucking program and offers highly competitive workers comp rates. UBIC continues to expand into more states and offers better rates on all trucking risks. MEM provides exception safety services and is actively quoting most trucking operations. Applied Underwriters offer a high deductable plan and 3 year rate guarantee for larger trucking risks. Available in select states. NBIS quotes heavy equipment hauling and machinery movers. 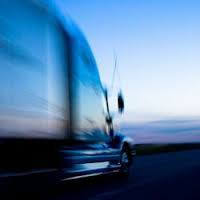 We offer other carrier programs in many states for select trucking risks. Not all trucking operations will qualify for one of our trucking programs depending on the nature of business, prior claims, and state. We do work with the State Fund in most states for operators who do not qualify. We're sure you probably already know how difficult it is to find low cost workers compensation for trucking companies. We're working hard with our insurance partners to develop better programs and rates for many types of truckers. Give our Trucking Insurance Specialists a call today at 888-611-7467 to see if we can help you find cheaper comp coverage for your business. *Underwriting may require a loss inspection or saftey related phone call prior to binding coverage.